There's a maniacal murderer on the loose, brutally slaughtering young women with a ferocity that rivals that of vampires Harry Koegh has spent his life combatting. 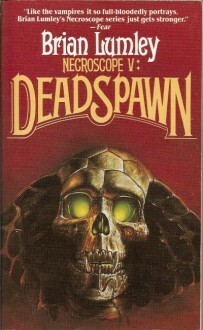 The Necroscope's been asked to solve the crimes...asked by the dead spirits of the madman's victims.Harry cannot turn down a request from the dead...even if it costs him his soul. In the climactic battle with the vampires, mankind prevailed and purged the vampires from earth--thanks to Harry, his team of psychically-gifted spies, and Faethor Ferenczy, long-dead 'father' of the world's vampires, who betrayed his own kind.But Harry's alliance with Faethor has a terrible cost--Harry's very humanity is under attack from the vampire evil coiled in his mind!